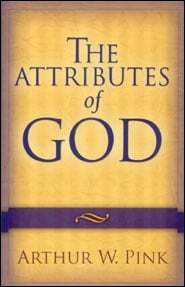 One of the best studies of The Attributes of God ever published. 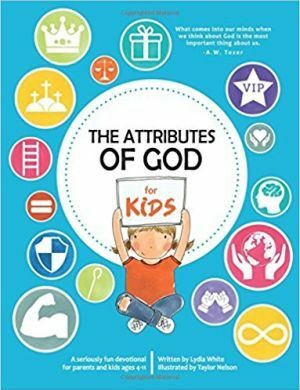 The unique value of this author’s work is, its brevity and simplicity in addressing the subject, making it the most useful introduction to this rich realm of Biblical truth. “A spiritual and saving knowledge of God is the greatest need of every human creature”, writes author Arthur Pink. 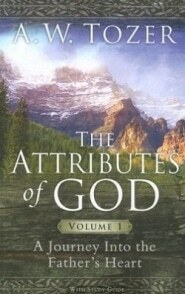 In this classic work, A. W. Pink explains God’s solitariness, decrees, knowledge, foreknowledge, supremacy, sovereignty, immutability, holiness, power, faithfulness, goodness, patience, grace, mercy, love, wrath, and a final, stirring chapter on the value of the contemplation of God. 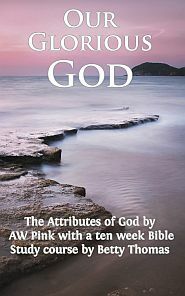 Few efforts to display the attributes of God have ever received as wide and popular a reading as Pink’s, as he makes this rich and deep subject accessible to any adult reader. Arthur W. Pink (1886-1952) was born in Great Britain and immigrated to the U.S. to study at Moody Bible Institute. He pastored churches in Colorado, California, Kentucky, and South Carolina before becoming an itinerant Bible teacher in 1919. From 1925-1927 he pastored in Sydney, Australia then went to visit his hometown of Nottingham, England before returning to the U.S. He returned to his native land in 1934, taking up residence on the Isle of Lewis, Scotland, in 1940, and remained there until his death. Most of his works first appeared as articles in Studies in Scriptures, a monthly magazine concerned solely with the exposition of Scripture.